In the following article, poets Stav Poleg (Magma) and Jennifer Williams (University of Edinburgh) introduce the collaboration of Magma Poetry with the University of Edinburgh and the Festival of Creative Learning. What better place and time to contemplate a collaboration? It was the peak of the Edinburgh festival season. We met for a coffee at Dovecot Studios, discussing ways of bringing poets and filmmakers together. We both have had our own experience of collaboration and cross-form work. Jennifer has worked with choreographers, dancers, musicians, composers and opera singers and Stav has worked with visual artists, actors and dramaturges. We discussed how meaningful it can be for collaborators to work in artistic partnership, and how the interaction between myriad intellects and their creative energies can influence the way we enter into the pact of creation. Collaborations can also make this delicate, potent work harder. We reminisced about collaborations that went so smoothly it felt as if we shared a brain with our partner, and others that felt more like sacrifice than expansion. But we knew that the successful ones mattered greatly. They affected our work to the extent that even when we later wrote on our own, the hand of the illustrator and the eye of the filmmaker were inside us as we laid words on the page and sculpted image through sound in space. We also remarked on the concern that is often raised that poetry is isolated, read too often only by poets and not by the general public. Film poems, and other collaborations that bring poetry out from between the covers of a book, can open a door to the world of poetry for those who are more accustomed to encountering complex images on screen or in the flesh than on the page. The delighted response we have received from poets, filmmakers and viewers of the work produced in the project that emerged from this conversation has confirmed our belief that this merging of forms can diversify and expand audiences and spark a new interest in poetry where before there was fear or disdain. As for how the project worked in practise, Magma invited poets who were willing to let their poems be open to cinematic interpretation to submit contributions. We received over 400 submissions in the course of a few weeks from poets who were keen to be linked with filmmakers and shortlisted a selection of these poems. In the meantime, four students from the prestigious Edinburgh College of Art (ECA) Film Directing MFA/MA and teams of students from the Edinburgh Movie Production Society (EMPS) at the University of Edinburgh were recruited. The ECA students were given the shortlist and asked to each select a poem to use as a starting point for a film poem. The EMPS student teams were given one poem, and each individual/group responded to that particular poem. The poets and filmmakers were encouraged to view the project as a collaboration and worked together via Skype, email or in person. The filmmakers were the creative drivers in terms of making the films, but we asked that they consult with the poets throughout the process and confirm with them that they were happy with the final cut. At the University, the project team delivered a workshop for the filmmakers at which we showed a variety of film poems to help convey the vast spectrum of possible styles from documentary to experimental and abstract, and encouraged the filmmakers to think of their film poems not as representations of the poems in film but as completely new works inspired by the original poems. We have been awed by the results. We want to thank Lucy Kendra (project co-producer), the Festival of Creative Learning, Charlie Farley, Emma Davie and Juro Oravec from the University of Edinburgh, and the Magma Poetry board. Most importantly, we want to celebrate the poets and filmmakers who engaged with their collaborations with such energy and artistic integrity. We hope this will be the first film poems of many for the poets and filmmakers involved. Please scroll down to read more about the project, to read more about the filmmakers and poets, and watch a selection of the films. We hope you enjoy them and that it inspires your own exploration of the rich and creative terrain offered by collaborative practise. The Films: Read more about each film here and below. Marios Lizides: I consider poetry to be closer to filmmaking than prose. Through ambiguity and symbolism you are able to communicate with the audience on a deeper, more visceral level. Even though I had created a few works that could be termed abstract and poetic in the past, I found that there were differences in the poetry and film collaboration process. In my past films, I found that their atmosphere/mood materialised mostly during the edit. In this film-poem project I had the poem as a guide and its “mood” as a reference during the shooting of the images. The sound design was also approached differently, as the images gave me clues as to what kind of sound would amplify the mood. Ginny Saunders: When I talked with Marios about my poem I realised that it could all be traced back to when I was a student in a Biochemistry lab practical many decades ago. We were handling lab strains of bacteria and being taught how to dispose of them safely. The lecturer said something casual like, ‘but even if they did escape into the wild, we’ve so disabled them, and made them so dependent on drugs, they wouldn’t survive anyway’. That had a profound effect on me—how we manipulate and exploit nature for our benefit and don’t give the natural world a voice. In my poem I finally gave the lab bacteria a voice! I loved the idea that Marios articulated his response to my poem by comparing it to his response to a song ‘Higgs Boson Blues’ by Nick Cave. In the video of the song Cave enters a darkened stage as if from a fiery hell and when the door closes it has a big X scrawled on it. That is exactly how I worry the human race reacts to some environmental exploitations. As far as this collaboration is concerned, it is different to anything I have done before. I see Marios as the next custodian in this chain of collaboration. Just as I had my encounter with the page without the Harvard scientists breathing down my neck (not that I would have objected to a collaboration with them if they are listening), he must now have his encounter with the lens and make Pegasus in the Lab his own. Marios Lizides is a Cypriot filmmaker/photographer. His photographs have been published in literary magazines and his films screened at various festivals. He is currently working on his thesis film for his MA course at the Edinburgh College of Arts. Ginny Saunders lives in Wiltshire amongst chalky white horses and enjoys writing about science. She has a PhD in Molecular Biology and last summer was Poet-in-Residence for St George’s Gardens, Bloomsbury. Watch Pegasus in the Lab here. Simon Ray: It’s the dance — the sense of loosening a grip on a certain direction en route to a particular outcome and allowing something to unfold and grow — that seems a common thread in poetry writing and filmmaking. In collaborating, a third ‘dancer’ is added; a three-way conversation between the collaborators and the work, all inputting, receiving and responding. I have worked in video production, producing films for client briefs, alongside occasional experimental film projects as part of my creative practice. The film poem is more creative and self-directed than my commercial work, and more bounded, outcome-based and ambitious than my experimental work. Kristi Carter: Because my poem focuses on my relationship with my mother as her only daughter, which also serves as the major thread of my manuscript, I am so familiar with the thematic obsessions that working with someone else reminded me of the alternative ways into my poem. That opportunity for a different but qualified perspective on your own work is very important for any writer or artist. I have learned that the intense control that characterizes most poets is put to the side for collaboration, which is liberating. Mixed media collaborations also function as one of the most inviting access points to readers who are either new to poetry or more flexible with their definitions of how poetry is supposed to function. I believe that while poetry does enact the work of condensing what is otherwise ephemeral, abstract, or unutterable about the human experience, poets themselves exist in conversation with the world, no matter how quiet or marginal they might assume that conversation to be. Simon Ray is a New Zealand born artist and filmmaker. He is currently undertaking an MFA in documentary film directing at the University of Edinburgh. His work poetically explores body memory and the boundaries of consciousness. Kristi Carter is the author of Red and Vast (Dancing Girl Press), Daughter Shaman Sings Blood Anthem (Porkbelly Press) and Cosmovore(Aqueduct Press). Her poems have appeared in publications including So to Speak, poemmemoirstory, CALYX, Hawaii Review and Nimrod. Her work examines the intersection of gender and intergenerational trauma in 20th Century poetics. She holds a PhD from University of Nebraska Lincoln and an MFA from Oklahoma State University. Watch Of the Daughter Who Spoke here. Maggie Clark: As my focus is primarily in documentary, the film poem has been an opportunity for me to expand my creative practice and be a little bit more playful with the way I film. It’s pushed me to use visual metaphor as a storytelling device, which is a challenge I’ve really enjoyed! Laura’s poem is about love in the face of prejudice. It carries a sincere and important message, which I hope to do justice in my film. Laura Seymour: When Maggie and I were talking at the start of the project, I saw that one or two images in the poem stuck out visually from the rest, and also that the images that stuck out visually were perhaps the most ambiguous. The idea that readers or watchers might be more affected by ambivalent imagery was really interesting to me. Maggie Clark is a Canadian born filmmaker currently studying for her Masters in Film Directing at the Edinburgh College of Art. Her focus is in character-led documentary, which she uses to explore female identity. Laura Seymour’s book The Shark Cage (2015) won Cinnamon Press’s debut poetry collection award. Her poems have appeared in various journals, including Poetry Review, Poetry London, Magma, MsLexia, Envoi, Ambit, South Bank Poetry, Brittle Star andThe Interpreter’s House. Watch Anyone Can Buy a Seat at the Cinema here. Ted Fisher: My interest in documentary film as a practice is always connected to the power of the real world as a storyteller. In reading and re-reading Aoife Lyall’s poem, I saw it as amplifying a reality I could feel and I found myself wanting to look and listen further. We shot aspects of her life for several days, with the idea of trusting this as raw material that would meld with the poem in an editing process. I have made many short documentaries, and the best of these have been made from finding a situation where events lead to a real outcome, in front of the camera. Working in connection to a poem (and a poet) shifts this practice to one that is new for me: trying to understand past and present at once. So my approach had to include tuning in to the idea and experience of reflection and reconsideration. Aoife Lyall: The most significant thing I learned was that the poem isn’t so much about welcoming my daughter into my life, as allowing myself to finally call Inverness home. I lived here for almost six years before she was born, and spent much of that comparing my life here to the life I had in Dublin. Walking the poem with Ted I came to realise it encapsulated what I had been missing – the accumulation of memories, moments, and experiences that layer themselves into the familiar. As for collaborating, trust is vital: in the skills you have brought to the project, in the skills of the other party, and in the potential of what you are creating together. So there has to be a relationship there, a mutual respect, and a willingness to let someone else explore, and act on, avenues of your work that you may not have considered before. For future projects I would make the point of being able to recite the poem from memory, simply because this makes more filming options available. What would I keep the same? Working with Ted. Ted Fisher is an American film director specializing in arts and culture documentaries. His short films have screened at over 30 festivals around the world. He is currently working toward an M.F.A. in Film Directing at the University of Edinburgh. Shortlisted twice for the Hennessy New Writers Award, Aoife Lyall’s work has appeared in Poetry Ireland Review, The Stinging Fly, Banshee Lit, and others. She has just completed her first collection. Miriam Khenissi (Filmmaker): I wanted to incorporated both artists in my short film: the poet and the filmmaker. I thought that using Carrie’s voice as a narration would add a lot to the film. And even though I wasn’t visible in the short film there were a few strands of my hair visible in the last scene which I added on purpose to include a small personal touch. The majority of the film was filmed on an iPhone which allowed me to capture picturesque scenes at just the right moment. Miriam Khenissi is an aspiring young filmmaker and designer. Her short films have been screened in various film festivals around the world. Carrie Etter is Reader in Creative Writing at Bath Spa University. Her fourth collection, The Weather in Normal, will be published by Seren Books this autumn. Watch Ode to Summer films here. 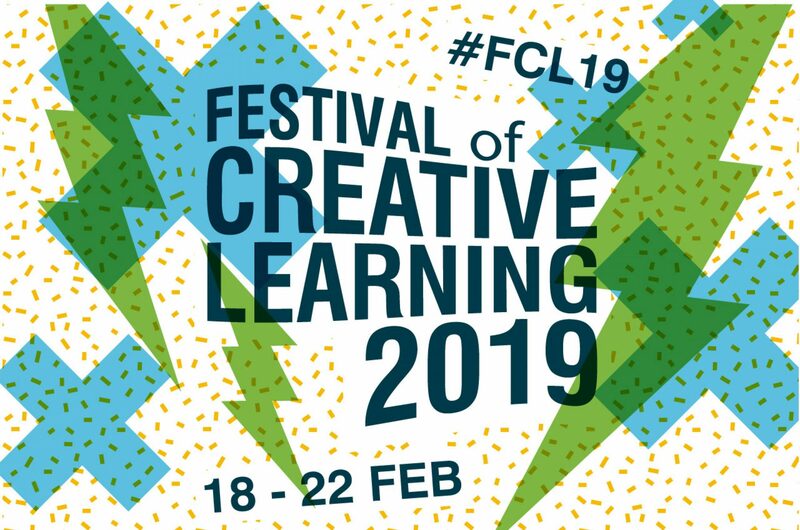 Two students at the University of Edinburgh share their experiences of participating in a Disability Research Edinburgh network event at the Festival of Creative Learning. Jinghua Qian and Yu Fang are from China. They are post-graduate students at the University of Edinburgh, one in education and the other in social science, and they met at this event. The one-day event was to engage the participants with the idea of participatory and inclusive approach to disability research. In the morning, we listened to a panel discussion between four invited speakers from different disciplines. They have extensive research and practice experiences in areas like social inclusion, disability and medical informatics. They shared their insights into the participatory and inclusive approach, and discussed a range of perspectives informed by academic research and also their own professional experiences. After the panel discussion, we were divided into small groups based on our interests, such as learning disabilities, mental health or care services. Led by the panel speakers, participants were expected to work together to develop cases of inclusive research design. The group we were in designed a research project on disability and higher education. We discussed many important issues including equal access, barriers, and policies to support international students with additional learning needs. In the afternoon, we watched a film ‘Defiant Lives’, which was about disability rights movements. There was also an open discussion following the screening. The film showed the history of how disabled people were maltreated, segregated and discriminated, and how they struggled for their rights. The documentary made us understand better the difficulties in realising human rights, and made us reflect on how to make a difference. Before this event, we rarely came across topics related to disability in our own study. For example, in the Chinese context, ensuring access of disabled students to higher education has not been an important agenda, because disabled young people are usually expected to seek jobs to support themselves financially. It was really beneficial to have participants from different cultural backgrounds exchange ideas, so the discussion was extended greatly. The film screening made an often ‘invisible’ group visible to us. From an Asian culture in which ‘harmony weighs more than anything else’, we were rather surprised to see that disabled people in Western countries opted for a violent approach to fight for their rights. We asked: Why would people choose the most radical way? Why would they rather hurt themselves to protest against something? We realised that at that time disabled people had no other choices – the indifferent society was hurting them even more. Jinghua Qian: Only after taking the optional course on inclusive and special education, I have started to know more about the circumstances for disabled children in different countries. It was great that with group members at the workshop, we could discuss the reality of inclusive and special education in our own contexts. Looking back at my experience of being a student in China, I never had any disabled children as classmates. Compared to Scotland where the majority of students with additional support needs are enrolled in mainstream schools, China still has a long way to go to realise inclusive education. I would like to address the issue of inclusive practice in my future work. Yu Fang: As a student interested in public policies, the event pushed me to think hard about policy implementation. For example, why would the public transport remain inaccessible to wheelchair users after law enforcement? If such support is not provided even though the government has given its promise, then who should be held accountable for such failure? Attending the event broadened my understanding and I found new topics that I would like to learn more about. I have enjoyed the Festival because it gave us opportunities to explore issues that we might have long overlooked, such as the social rights we tend to take for granted. I would definitely continue to follow the updates about future events organised by the Festival of Creative Learning and Disability Research Edinburgh network. Interview by Dr Yuchen Wang. Jinghua Qian is a postgraduate student in MSc Teaching English to Speakers of Other Languages (TESOL). She studied on a course ‘Comparative Approaches to Inclusive and Special Education’, which made her more aware of the international challenges for providing educational opportunities for disabled children. Yu Fang is a postgraduate student in MSc Policy Studies. She became interested in disability research after volunteering with the programme ‘Home for the Elderly’. Dr Yuchen Wang is a post-doctoral research associate at Moray House School of Education. The events were organised by Disability Research Edinburgh as part of Edinburgh University’s Festival of Creative Learning in February 2018.